Are you a blogger? Ebook writer? Always looking for incredible (and FREE) images for your website? I’ve found the best websites to get free images online to use for your stock photo needs. Bonus before you start: Click Here to Get 60+ free stock photos from my favorite websites to use on your blog and for your business. This will save you time and instantly give you a library to use for FREE. One of my top “go to” websites for great images. Free (do whatever you want) high-resolution photos that allows you to search for the right photo and use for personal and commercial use. 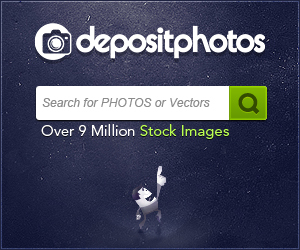 LibreStock is an aggregator of many of the free stock photo websites. It’s nice to use because you can search for a keyword and it will scrape stock sites and show you the best results in their database. Jonas Nilsson Lee created a website where he showcases photos free to use photos for personal and commercial use. This is a free stock photos site by a designer and photographer. Every day they publish two high-resolution photos that you can use for your personal and commercial projects. Used by Entrepreneur, Buffer and Pinterest — Death to the Stock Photo is one of the best. This site will send you a fresh pack of photos to your inbox each month, with awesome stories to match. Are you needing free images of food in high-resolution? Foodies feed is your place to find them. Superfamous is the Los Angeles-based studio of Dutch interaction designer Folkert Gorter. Royalty-free, high-quality, natural looking photos of landscapes, people and technology. Free high-resolution pictures you can use on your personal and commercial projects. Free pics. do anything.. make magic — 7 free photos uploaded every Thursday. Photos for business or personal use in high resolution for free. Free high-resolution photos with no copyright restrictions. With new photos added weekly, you can be sure to find something you’re looking for in their gallery. Choose from a huge gallery of totally free photos for your commercial & personal works. Pick from the variety of categories to find the photo that fits your needs. Pick from over 310,000 free photos, vectors and art illustrations. You can use any Pixabay image without attribution in digital and printed form, even for commercial applications. 500+ stunning lifestyle imagery for modern creatives. One of my favorite sources for photos that I’ve never seen before. On Snapwire Snaps, you get 7 free photos every 7 days. Snapwire Snaps is part of the Snapwire family which sells stock photos. Search & discover free, hi res photos & videos. 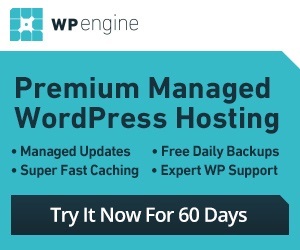 SplashBase aggregates many of the sites mentioned on this post and puts them in a searchable format. Delicious free stock photos for personal & commercial use. Filter through incredible startup environment photos for your next blog post. These galleries are clean, professional, startup office typical type photos. One of the best sources for beautiful free stock photos. Hundreds of high resolution images added weekly to StockSnap which makes it one to keep returning back to for fresh content. ‘Not everyone has hundreds of dollars For Stock Photos’ — And so StockPic has totally free photos for personal and commercial use. Not exactly stock photos but still free and awesome. The Pattern Library is an on going project shared by the most talented designers out there. And it’s all there for you to use freely in your designs. Authentic Snaps – Some free but it looks like $10 a month for he majority. New Old Stock – Stock photos from the past. IM FREE – Attribution to the creator is required on this site. What about all those photo sites that charged for their photos? Sites like iStock, PhotoDune, Deposit Photos and hundreds of others are still the place to go for high-quality photos. In fact, these sites have elements like people’s faces, illustrations and commercial photography that you will not find on the free sites mentioned below. Disclaimer: I’ve gone through and checked that these sites allow for personal and commercial use. That’s why I built this list in the first place. With that said, please double check the website before using it for commercial use to confirm that you have the rights. They are usually very transparent about the use of their photos. Pingback: Bloggers: Where do you get all your images from? Thanks, I hadn’t see that yet. Also check out http://www.goodfreephotos.com for thousands of unique public domain photos, appreciate it if you would add it to your site. Thanks. Such a great resource you have here John, really helpful of you to take the time to research it and put it together. Great post John. I was going to put together a blog post similar to this. But my research led me to yours. I don’t think I can top that list. So I’ll just use your blog post as a resource to link to. Thanks. Thanks for this post, it caught my interest; on of all places Pinterest. Just the info I needed to help with one of my searches. I am preparing to launch a new blog and really appreciate the list provided. Have you heard about rawpixel? You’ve probably seen our images all over the place. We’re the leading stock photo contributor in the world. We’ve just launched our website where we give away the best free design resources out there. We’d be stoked if you could add us to this list. Check us out on http://www.rawpixel.com. Looking forward to you joining our community of creatives. Thanks for the great list! Please also check out the world’s largest collection of free, public domain/CCO images, https://snappygoat.com/ ,with 14 Million Public Domain/CC0 stock images, clip-art, historical photos and more, all in one searchable database. It includes an easy to use meme-maker.